Stella Daskalova is quite open about sharing everything that prevents our children falling asleep at night – accumulated insults, traumas and fears of too much parental pressure. Parents who care excessively, as well as parents who don’t really care if their child is suffering, are all victims of incorrect upbringing. It is no secret that Bulgarians are slaves to traditional education. This has been imposed over many decades when our grandparents either through manipulation and cunning, or by force and aggressive have dictated what should and should not be done within the micro-unit of human society, also known as the family. Unintentionally or not, mistakes are repeated, and the true victims are always children. “Everything Begins From Childhood” (Ciela Publishing House) lists the most parental common mistakes in children’s upbringing, all verified with quotations from children who give their own opinion. Children often conceal their opinions for fear of punishment or, worse still, a complete lack of communication with their parents. What are the children of Bulgaria afraid of? How is aggression born? What are the taboos and punishments in the family? These are just some of the questions and answers in this important psychological book examining the spiritual diseases of a society accustomed to punishing children and not allowing them to grow up happily. They are prevented from becoming harmoniously developed personalities who will one day cope with the problems of bringing up their own children. Stella Daskalova’s business card contains the following professions: “philologist, social pedagogue, parent, dreamer, and writer”. The first two definitions, according to Stella, are her social packaging, and the last three are her true vocations. Stella, what are the most common problems between parents and children? What I really want is for there to be no children living in fear. I want to see children smile more. It is a fact that the more a society grows, the more humane it is to its children. They are our mirrors and creations. As such our attitude towards children reveals our attitude towards ourselves. The more advanced we are in our personal development, the more respectful we are to our own children. To what extent does crisis and social tension influence the relationship between parents and children? People who think positively are well protected from social tension. They are privileged in difficult situations in being able to discover the message of problems. This helps them take another step forward in their own development. They don’t waste energy on negative emotions, but instead they direct their energy towards the positive development of each situation. It heartens me that I see more and more people who have grasped the essence of positive thinking – this is a new wave in Bulgaria. In Western Europe and the United States, the theory of the power of positive thinking became popular last century, but it has only come to us in the last 7-8 years. People increasingly perceive the expression “positive thinking” as a naive cliché, devoid of any particular content. This is because they have not perceived the profound meaning of this theory. In particular, those who have experienced serious difficulties in life are better able to understand the essence of positive thinking. The difficult situations in our lives are challenges sent to us by the universe and they drive our spiritual development. How long did it take you to write “It all starts from childhood” and describe your journey? The journey has taken me all of my conscious life, and about a year and a half to write it, together with the survey I carried out among a wide range of children. The idea of ​​interviewing children came to me, after I written about half of the book. When I was analysing the mistakes parents make, I noticed that I didn’t have the other point of view. I found the children at my daughter’s school and my son’s school where I had been a pupil and then a teacher myself. I also included pupils from Vedi educational centre which helps prepare children for language schools. What are the most common parental errors? I don’t want the book to create a sense of guilt among parents who recognize their personal mistakes. Because mistakes were also in relation to them; and punishment is the wrong thing to do. Every parent tries to offer the best care they can at the appropriate stage of their own development. The most common mistakes are related to the parents’ fear of failure. It is this fear which leads them to copy well-known patterns of education without listening to their heart. Many parents forbid, punish, and even beat their children because they think it’s right, without realizing the consequences in the long run. The fact is that many children are afraid of their parents. Most of the respondents preferred to remain anonymous, even those who didn’t write anything critical. The reason for this is the popular fallacy that parental authority requires distance. In fact, true authority has nothing to do with an authoritarian upbringing. A parent’s authority derives from the inner strength and harmony which the parent emanates and which the child senses intuitively. No bans, threats, or punishments are needed in this case. 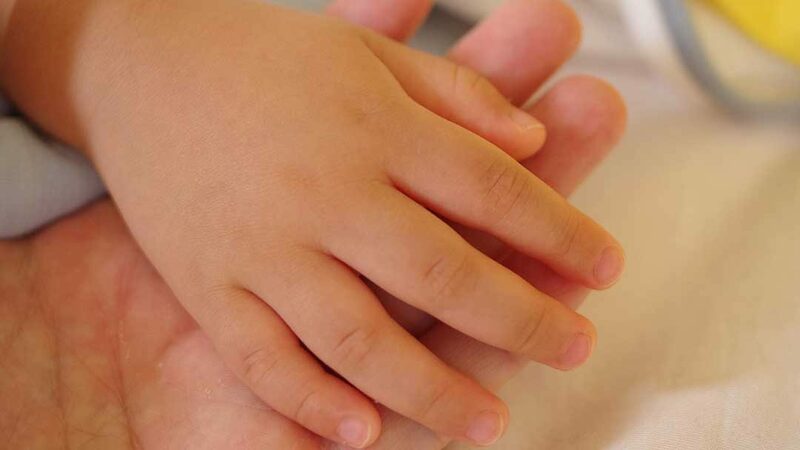 Agreement and unanimity can be reached in a friendly conversation, thanks to the spiritual connection between the parent and the child. In this way children begin to feel responsible to themselves and develop their own sense of self-control. Do parents in Bulgaria recreate the socialist models of upbringing imposed by their parents? Unfortunately, Bulgarian parents often repeat the models of education which were imposed on themselves. When you forbid your children to do things and impose your penalties, you become weak and neurotic. You no longer believe in yourself and become unable to judge the situation, take risks or make the right decision. We are constantly talking about democracy, and we don’t realize that have to achieve it in the family first. There is rarely democracy at home. If children get used to democratic principles from a young age, then when they grow up, they will be prepared to stand up for democracy. And what mistakes did you make as a parent? I was overwhelmed by fears because I had quite a negative mindset. I would quite often consider negative scenarios in my imagination. Like many other people, I thought the most responsible and sensible thing to do was to foresee all the bad things that could happen and try to avoid them. This is a great delusion. By directing all our energy to what scares us, we continually invent fears and they prevent us from truly living. When we are afraid, we do not give our dreams any chance. When we dream, we do not give our fears any chance. I chose the second way. I try to help my children overcome their fears and follow their dreams. I think I’ve managed to convince them of the benefits of a positive way of thinking. Perhaps the most important thing I’ve taught them is to love and respect themselves. Another thing I’ve taught them is not to be afraid to love and to show their feelings to others. I’ve also taught them to ask more questions and seek their own answers, and to have the courage to take risks. I think my children are happy, and that’s the most important thing for me. Almost every day they tell me “I love you”.